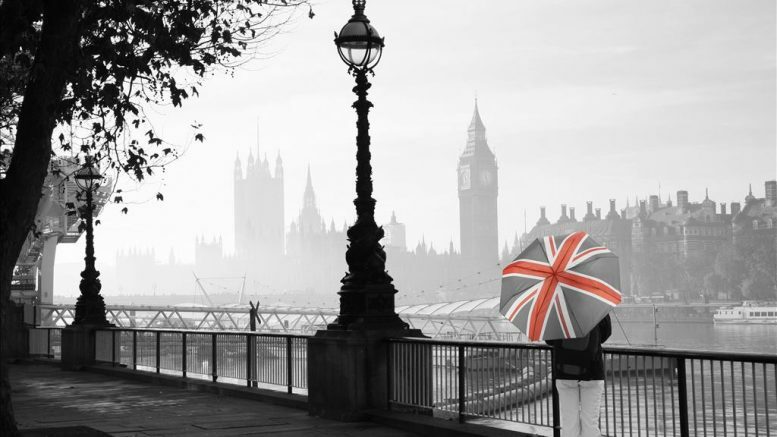 Is the fog of Brexit beginning to clear? Weather warning: slowly the fog is clearing as Brexit options are narrowed down. 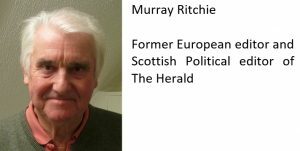 Just possibly, concludes Murray Ritchie. Just when Theresa May escapes one Brexit trap two more are laid. Having probably avoided a leadership challenge because the extreme Brexiteers have seemingly lost their courage, along come the Spanish to put a spanner in the works. And, for good or ill, the Democratic Unionist Party (DUP) are threatening to call off their support because they reject the Prime Minister’s proposed deal. With the Spanish, it was just a matter of time. Anyone watching Brexit’s tortuous progress fully expected Madrid to cause trouble over Gibraltar. The rock has been a source of dispute between Britain and Spain for centuries. The British outpost’s 300,000 people, the great majority of them Remainers, want no truck with Brexit. They thought their worries had been assuaged when a protocol was agreed giving the impression that Gibraltar would not be an insurmountable problem. The deal had sounded routinely dull, touching on relations with Spain on citizens’ rights, the notorious tobacco smuggling problem, police co-operation, customs, security, fisheries, fighting fraud. The elephant in the room was not mentioned. Until now. Brexit was always going to be Spain’s opportunity to cause trouble for Mrs May. And, sure enough, Madrid duly took its chance to promote again its long quest for co-sovereignty. To no-one’s surprise Spain’s long, sustained and bitter resentment that Gibraltar on its southernmost tip is still British suddenly surfaced again. The Spanish have vowed to raise the issue during the Brexit transition phase. If they went as far as to plant a Spanish flag on the rock now the British would simply walk away from the negotiating table, predicted Luis Marco Aguiriano Nalda, Madrid’s Secretary of State for the EU. So, they will be patient and choose their time. Spain insists the Gibraltar issue forms no part of Britain’s EU withdrawal agreement and, instead, is the subject of a parallel deal. Foreign minister Josep Borrell has said that until there is an understanding with the UK there will be no Spanish agreement to Britain’s withdrawal. And, for good measure, he warned that winning the approval for Brexit from the EU’s 27 members “may not be as peaceful as it seems”. Other Spanish politicians have gone further. Joserra Garcia Hernandez, spokesman for Madrid’s right-wing Popular Party, said the Brexit deal advanced by Mrs May was “shameful” and an “absolute failure” concerning Gibraltar. Could, or would, Spain scupper Brexit simply because of Gibraltar? Probably not, seems to be the word in Brussels. To prevent Brexit at an EU summit Spain would have to mount a blocking minority sufficient to deny the 72 per cent support required by the so-called “strong” qualified majority vote. Unlikely, but not impossible if other states with their own difficulties with the withdrawal agreement joined forces. Take the French and fishing, for example. Fishermen – or rather the wealthy fleet owners – are beginning to realise that if you shut out the competition, the repulsed countries are unlikely meekly to buy all your plentiful fish. In Scotland, where the fishing fleet takes the bulk of the British catch, there is mounting hostility to Mrs May’s deal. Fishermen have long campaigned to leave the Common Fisheries Policy (CFP) and Brexiteers then promised total control of their waters with new powers to exclude EU boats. It was never going to be that simple and the EU has sharply reminded Britain of the fact. Fishermen – or rather the wealthy fleet owners – are beginning to realise that if you shut out the competition, the repulsed countries are unlikely meekly to buy all your plentiful fish. There’s always Norway or Iceland. This has prompted a potential rebellion among Tory MPs in Scotland, a significant number of whom represent fishing constituencies. They offered support for Mrs May, but have now retreated into internal feuding over the deal. Some cry betrayal because fisheries might not be free of the CFP as soon as promised if the EU insists. Others are swithering. Not all will stay loyal to the PM. Their problems are compounded by the proposed solution to the Irish border problem. If Northern Ireland has access to the single market – which appears to be the thrust of the withdrawal agreement – then Scotland is at a disadvantage. Scottish Tories are pledged to oppose such a move. Even allowing for the historic justification for the proposed Irish border solution there is no denying it could be bad for Scotland. Some perhaps over-excitable critics see Scottish businesses moving the 12 miles across the Irish Sea for a more welcoming trade environment. And that feeds support for the Scottish National Party (SNP) and its wish for Scotland to take to the independence lifeboat and, probably, resumed EU membership. Labour appears now to hold the key to the future if only its leader, Jeremy Corbyn, would give the voters a clue about his intentions. He mumbles about jobs and frets about Labour constituencies that voted Leave, but says he is also bound by the Labour conference which voted Remain. He also voted Remain but supports Leave. He is one confused politician. On and on Corbyn stumbles. Maybe he will take up SNP leader Nicola Sturgeon’s idea of a pact across the parties for a united stand to either stop Brexit or keep the UK in the single market – or even have a General Election if the government can be brought down. Slowly the fog is clearing as the options are narrowed down. No-one, bar the fanatics, wants a hard Brexit. Mrs May’s deal appears a non-runner as of today. Now there is the prospect of a second EU referendum to settle matters. As that idea attracts mounting public support and instils panic in the breasts of the extreme Bexiteers, a so-called People’s Vote is no longer seen as the last resort. It is fast becoming a first resort. A (Dis)United Kingdom after Brexit?